These are the comfortably soft scuffs with adjustable uppers made from Mongolian sheepskin that provide a custom fit for narrow or wide feet. 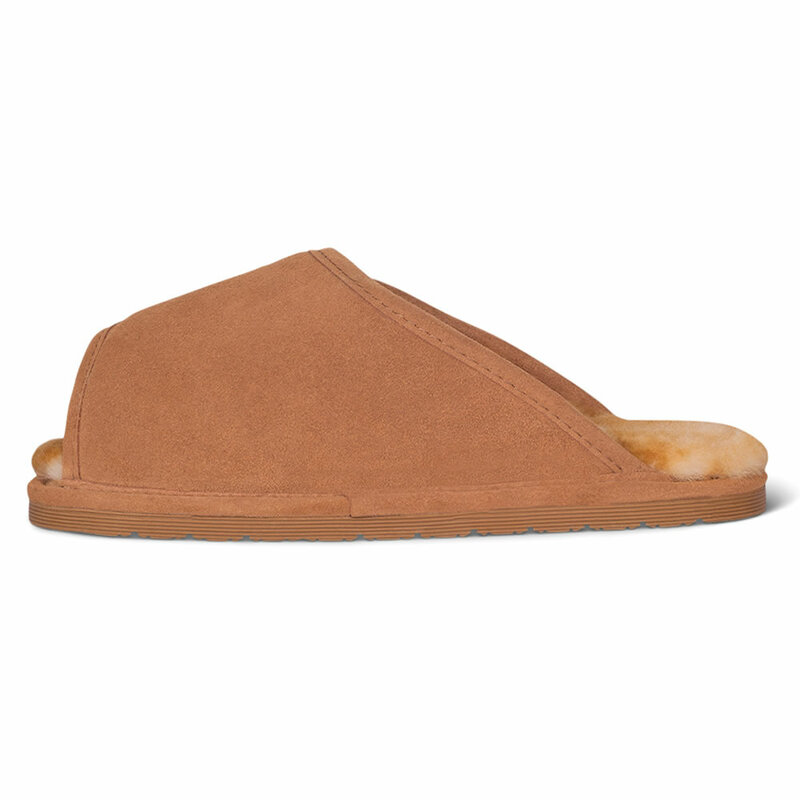 The scuffs have durable cowhide suede uppers that adjust using a generously sized hook-and-loop fastener that accommodates any foot size without constriction. 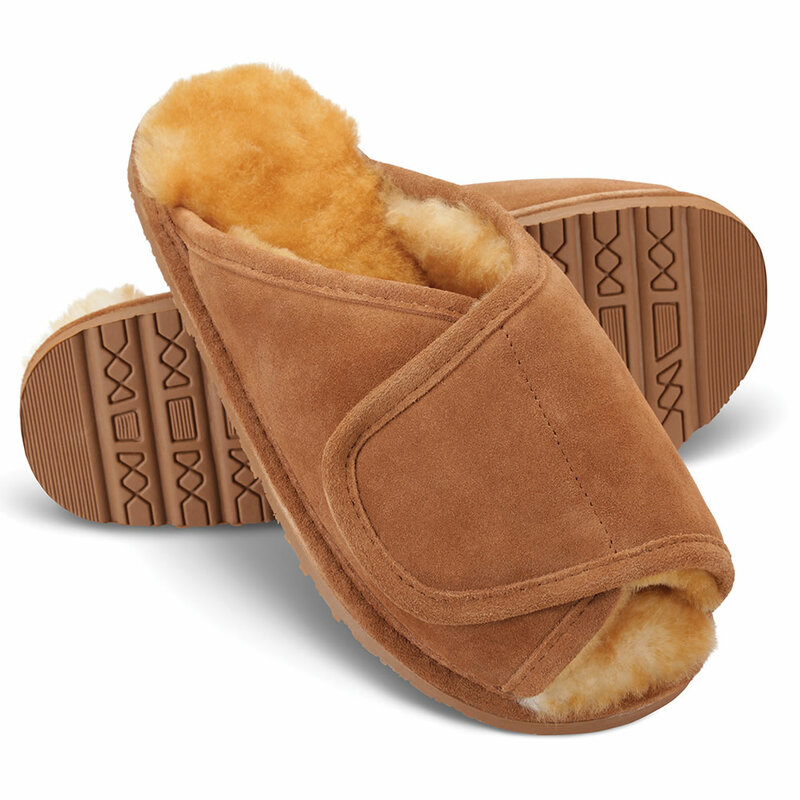 The Mongolian sheepskin’s dense, hollow fibers allow air to circulate, keeping your feet warm and dry. 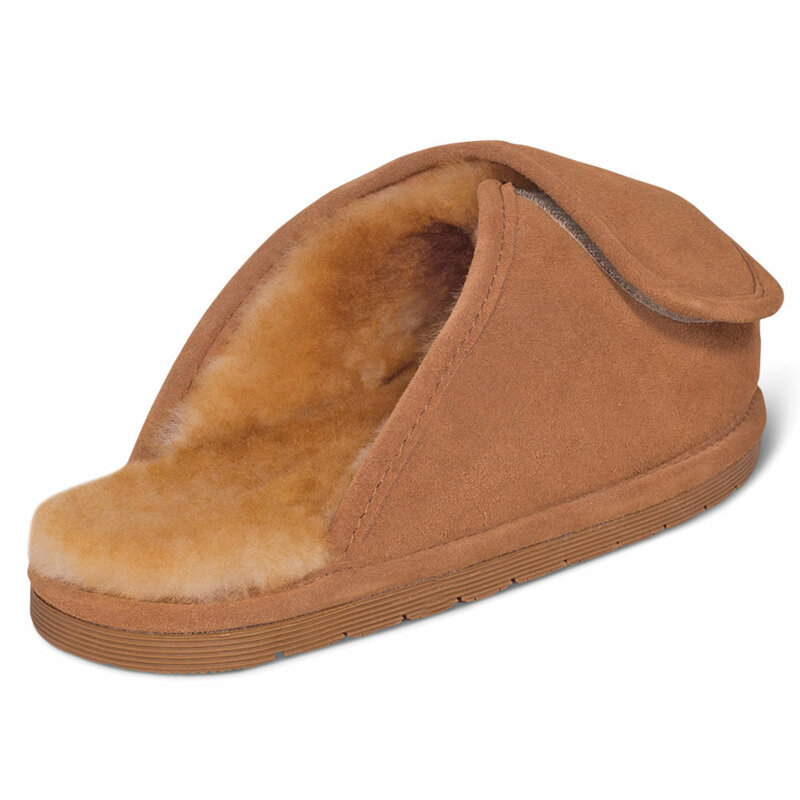 With a roomy toe area, and a cushioned sheepskin insoles for maximum comfort. 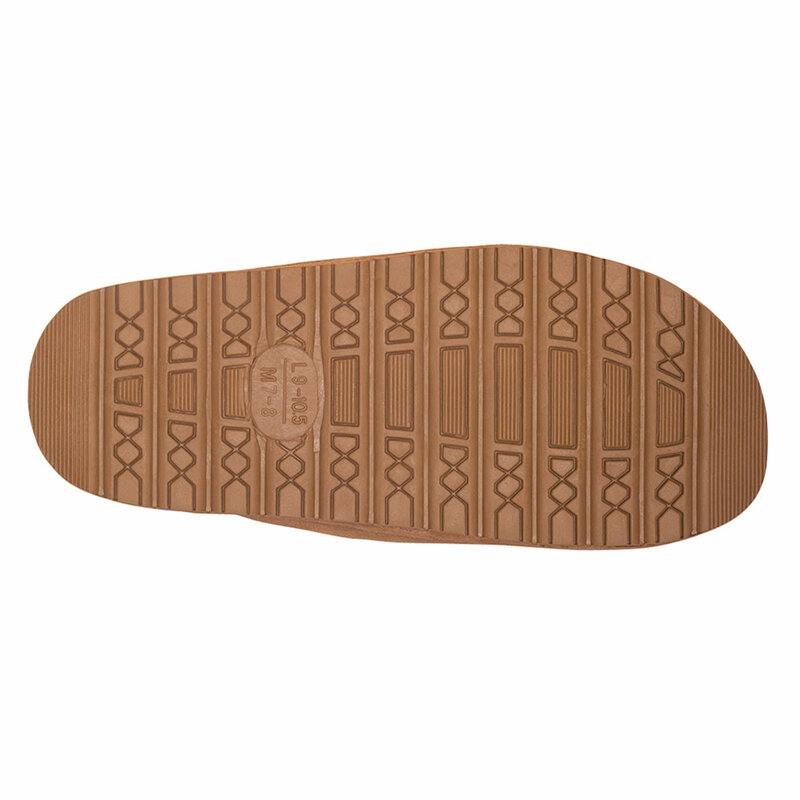 The thermoplastic rubber outsoles has a raised high-grip herringbone design for stable footing indoors and outdoors. 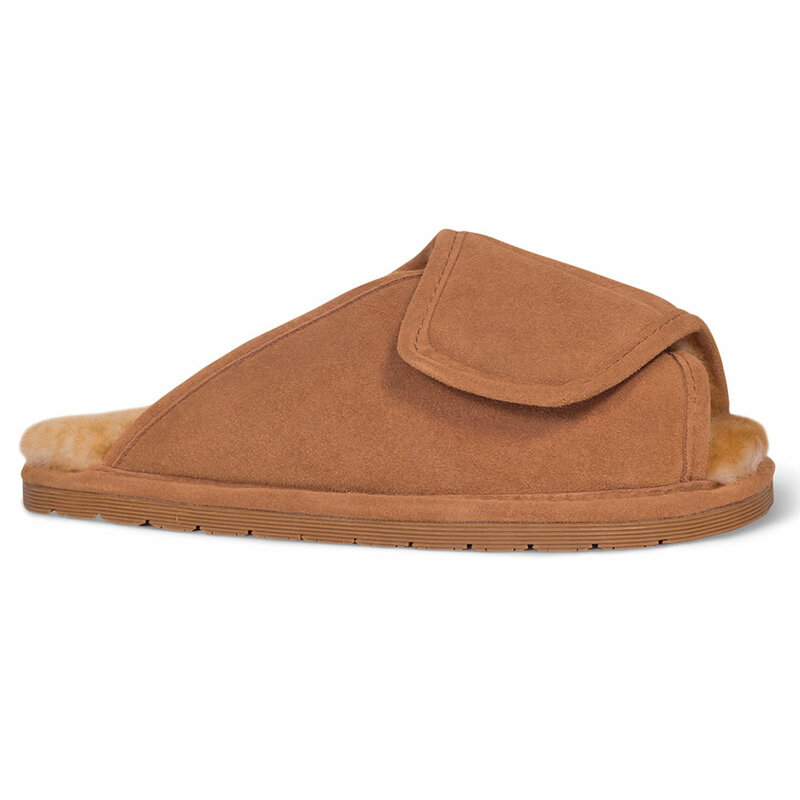 Sizes XS (women’s 5-6 1/2), S (women’s 7-8 1/2, men’s 5-6), M (women’s 9-10 1/2, men’s 7-8), L (women’s 11-12, men’s 8 1/2-9 1/2), or XL (men’s 10-11 1/2). 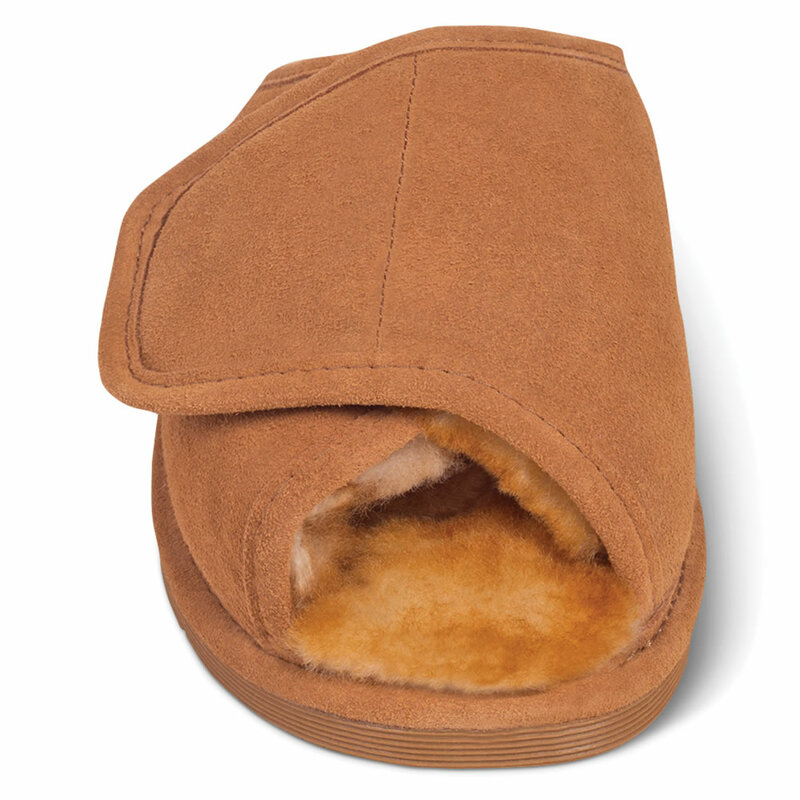 The Adjustable Sheepskin Scuffs come with The Hammacher Schlemmer Lifetime Guarantee. Items that we sell are guaranteed for their normal life under standard non-commercial use.